Unfortunately the "Penguin Random House Must Read Sweepstakes Ends 11/22" offer is no longer available. 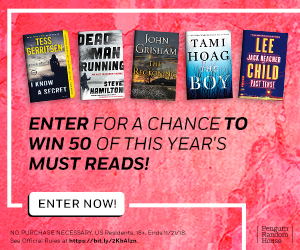 Penguin Random House is giving one (1) lucky winner 50 of the year's best books! Entry is simple. Simply click and submit your email address for a chance to win the entire collection! Ends November 22, 2018.